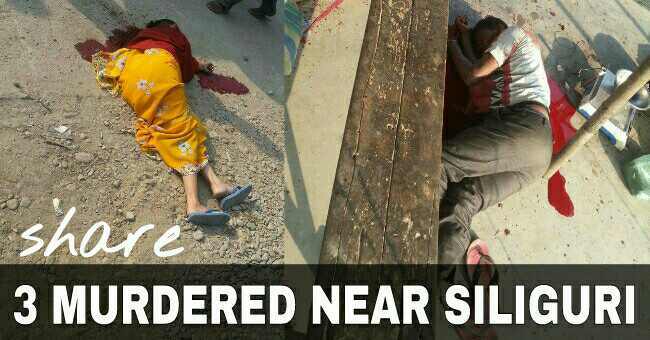 As per sources a youth killed a butcher and a woman doubted to be butcher's wife today afternoon at Hatighisa between Naxalbari and Bagdogra today afternoon. The youth entered their shop and ripped them with their meat cutting chopper at their meat shop. Reason of murder is not know. Even the locals don't know who the youth is. As the incident happened a huge mob attacked the youth and lynched him to death. Eyewitness says he saw that the youth had stopped breathing and blood was coming out from many parts.